Rural/Metro Fire crews put out a northside mobile home blaze Thursday. 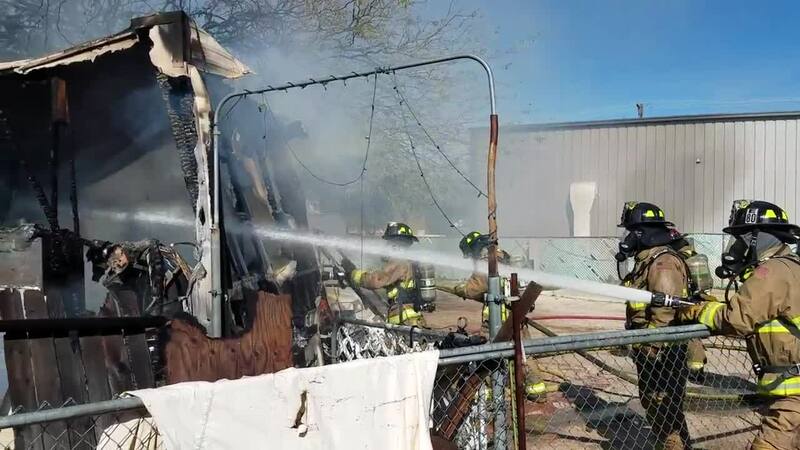 TUCSON, Ariz. - Rural/Metro Fire crews put out a northside mobile home blaze near Chapel and Hardy Thursday. Two dogs died in the blaze. Crews had the fire under control within 10 minutes. No one was injured. The cause is under investigation.